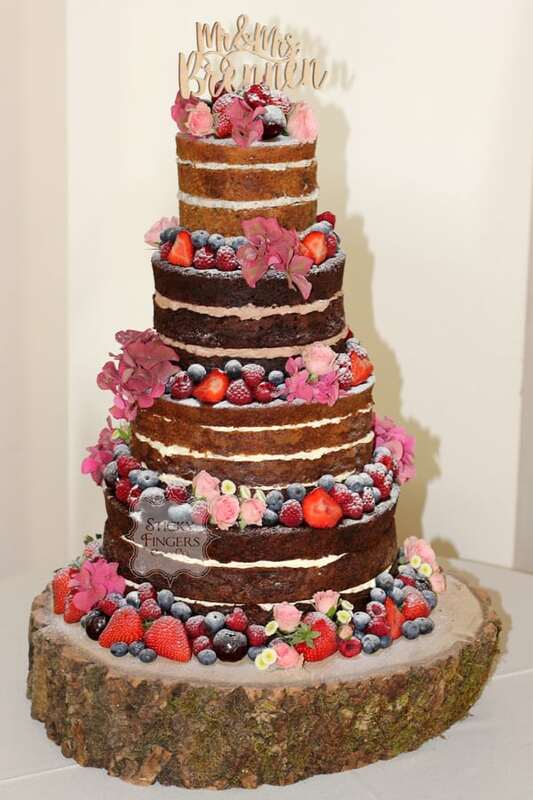 But in July, Harriet contacted me and wanted to know if I was able to make her and her Fiance’s wedding cake in August as her original cake maker wasn’t able to make it any longer. Luckily the Saturday they were getting married was free, so all I’m saying is if you’re pushed for time, please get in touch, you never know, we may be able to fit you in! “I can’t recommend Sticky Fingers Cake Company enough. Due to circumstances out of the control of everyone involved we were without a cake 24 days before our wedding. One email to Lou and she had agreed to make our cake and match our previous order. Due to the time restrictions we couldn’t make a tasting in person but Lou sent cake samples via recorded delivery to allow us to make our choices. We changed the order anyway as she offered more flavours. Our cake was delicious!! It looked amazing and we had loads of comments on how incredible it tasted too! Thank you Harriet and Simon, it was a pleasure to be able to help you out.